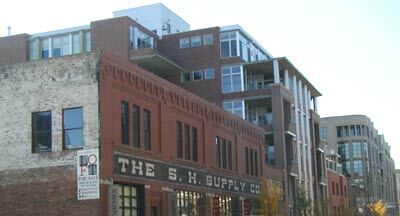 S. H. Supply Lofts is located on Wazee Street between 17th and 18th in lower downtown Denver (LoDo). Built around 1909, S.H. 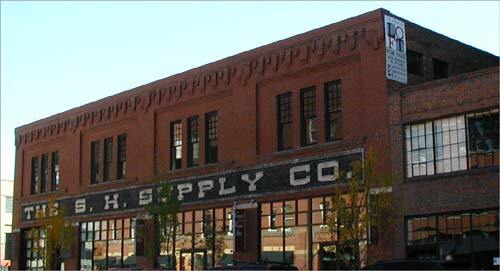 Supply Lofts is a century old building built during Denver's rail streetcar era. In the early 1920's the building was used as a parking lot for the elite Oxford Hotel guests and continued as downtown parking garage into the 1950's. S.H. Supply lofts is one of Lodo's historic brick buildings that lend themselves well renovation. Architectural features include interesting corbeled cornices, exterior brick panels, hardwood and interior brick walls. With only two stories and 9 lofts, the S.H. Supply Co. Loft residences offer privacy and a great location.